Geoff is an award-winning freelance professional photographer with a special interest in nature and landscapes, and has many published picture credits to his name worldwide in books, magazines, brochures, calendars, posters, greetings cards and many other publications. Geoff is a naturalist first and foremost. His interest in nature began in his early teens with a fascination for insects and other 'bugs', with their incredible miniaturisation, amazing variety and wonderful life-histories. As many of his insect subjects disappeared down the beaks of birds, birdwatching became a 'natural' progression. 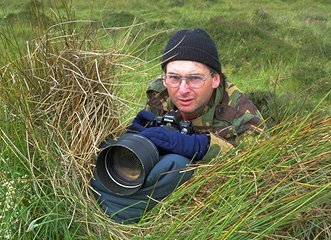 After his school education, Geoff went on to study zoology at London University and gained a BSc degree with Honours, and it was during this time that he picked up a camera, caught the 'shutter bug' and began capturing on film the nature subjects that he saw, focusing on insects first and then - everything else (!). Gradually, his photography broadened into other areas - particularly landscapes - and photography became an important part of his life. Geoff is completely self-taught, with no formal training or education in either photography or art, learning from books and from experience. Geoff lives in Christchurch in Dorset, on the south coast of England, and has travelled extensively throughout the British Isles and occasionally to other countries in search of nature and landscape subjects to photograph. In his nature and landscape photography, Geoff is always looking for that little something extra that will lift an image above the ordinary, make it more evocative, more wondrous, more memorable. The effort involved is not always rewarded but when it is the miles of travelling and walking, the hours of watching and waiting, and the numerous �near misses� fade into the distant memory, and the photographic spirit is renewed in the search for that next ever-elusive special image. Apart from his commercial successes, Geoff's most notable competition successes have been in the annual UK-based Wildlife Photographer of the Year Competition, the biggest and most prestigious international competition of its kind. The aims of this Competition are: "to find the best wildlife photographs taken by photographers worldwide, and to emphasise through the work of such photographers the beauty, wonder and importance of the natural world". It is organised by the BBC Wildlife magazine and the Natural History Museum in London, and regularly attracts more than 20,000 photographs from over 3,000 photographers (including the 'top guns' of nature photographers) in 65 countries. Over the years Geoff has been Category Winner on two occasions, Category Runner-up on two occasions, and Highly Commended several times (for more details click here). Other competition wins include the BBC Countryfile/Radio Times 'Photo 2000' Competition in which Geoff was one of the finalists (for more details click here ). In 1999, Geoff was invited to participate in the 'Daybreak 2000' project where nature photographers around the world were invited to capture some special images of the natural world during the first morning of the year 2000. This special and unique project - which involved around 100 of the world's leading nature photographers - was created by American artist Roger Tefft "as a means for photographers to commemorate the timeless beauty of the planet at a relevant moment in human history, and to promote wilderness conservation". The photographs now form a superb book (and travelling exhibition) called Daybreak 2000. 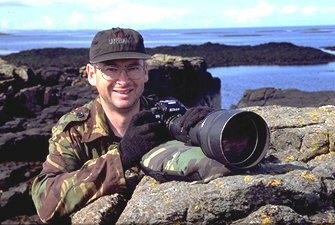 Geoff is one of only four photographers that took part in the UK and is proud to be associated with the project, which included many of the elite of the world's nature photographers. Some of the images he produced for the project can be seen via the Special Collections link and one of them (FN1-99 - type into Search box) was selected for inclusion in the book. Many of Geoff's most beautiful and evocative images are now available as fine photographic prints, and a number as Limited Edition photographic prints. 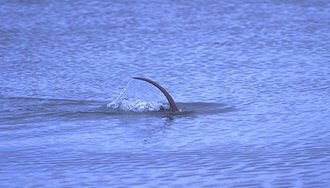 Others can be seen on the �big screen� at his slide presentations to nature groups, photography clubs and other interested societies. Some of his best images can now be viewed on this web site. Geoff does not restrict his photography to nature subjects and landscapes but also photographs many other subjects including sports, transport, architecture, people, travel-related subjects, and others (see Stock Photo Library) . When Geoff was still semi-professional, he was commissioned to take all the photographs for the book 'The New Shell Guide to East Anglia' published by Michael Joseph Limited in 1990 (see Some published work). As well as marketing his work directly to publishers and as art prints, Geoff is represented by various photolibrary agencies (see Resources and Links page).